Kara Neesen, a senior at the University of South Carolina, is joining us abroad for a second time (or as we like to say, GO: Again!) after traveling to Cape Town last summer with Go Global. Check out her blog below! 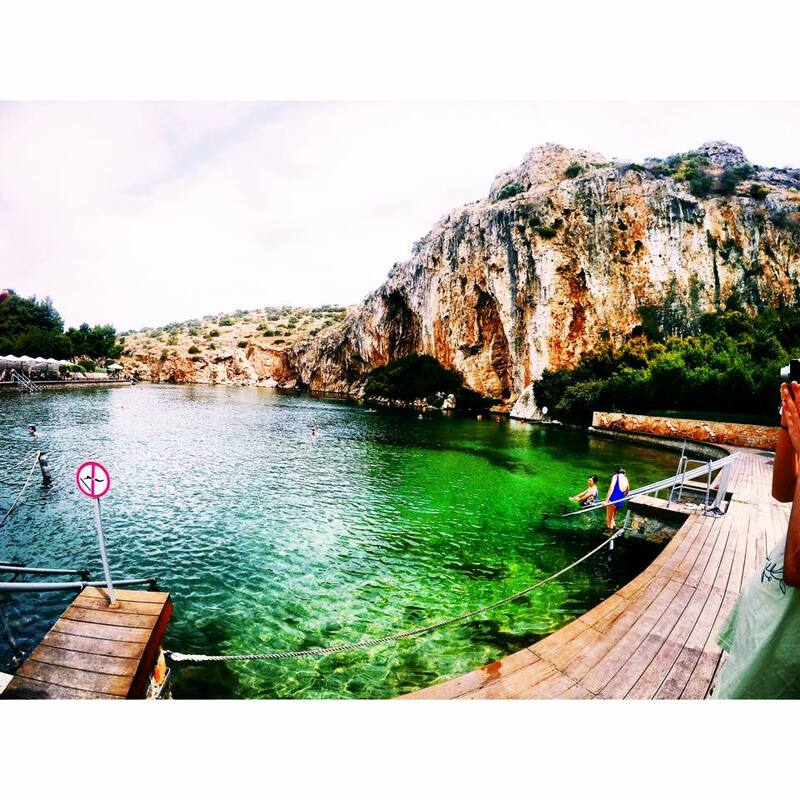 After a long day yesterday, Pierce and Kelsey surprised us with a day trip to nearby Lake Vouliagmeni. As a group, we utilized Greece’s public transportation by navigating both the metro and the bus to get there. Lake Vouliagmeni translates to “Sunken Lake” as it lies within Mount Hymettus. It used to be a large cavern that collapsed during an earthquake long ago, and now the collapsed cavern roof surrounds the outside of the lake. Needless to say, the view was breathtaking as it is unlike anything I have seen before. The best part of the day aside from the view was that we were all together. It was definitely a pinch myself moment. We were all in one place at the same time and just got to hang out with each other. There were little fish in the lake so we all treated ourselves to fish pedicures after our day of service yesterday. I honestly did not want the day to end. It was perfect. We all swam around and just had so much fun together (the GoPros were definitely utilized well today). We ended the day learning about influence, and Kelsey told us that even the most introverted person impacts 10,000 people in their lifetime, which is incredible and such a huge number. It really made me think about whom I influence and who influences me. I am lucky to be on my second Go Global trip this summer, and I am constantly reminded how much their programs have influenced me and allowed me to learn more about myself and grow as an individual.